This pasta dish looks delish! 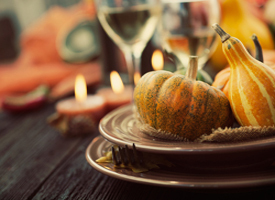 Utilize winter squash such as butternut, hubbard or pumpkin squash for this healthy, hearty vegetarian quick dish. Pair with your favorite Temecula Valley Sangiovese. Meanwhile, add the cavatelli to the boiling water and cook until al dente. Drain, reserving 1 cup of the pasta cooking water. Add the cavatelli to the squash mixture in the skillet, then stir in 1/2 cup of the pasta cooking water and toss gently to combine. Add the 3/4 cup of caciocavallo, season with salt and pepper and stir gently; add a little more pasta water if necessary. Serve the pasta right away, passing more cheese at the table. Pairs well with Sangiovese. Danza Del Sol Winery ~ 2011 Sangiovese – Wild berry and tart cherry aromas have a hint of sweet pipe tobacco. Flavors of plum and mulberry are deepened with a note of black tea. Frangipani Estate Winery ~ 2012 Estate Sangiovese – A 100% Sangiovese with aromas and tastes of black cherry, black currant, mulberry, plum fruit. Robert Renzoni Vineyards ~ 2012 Sangiovese – Subtle aromas of toffee and fresh berries with distinctive notes of cherry and raspberry. A hint of vanilla adds a lingering soft finish. Wiens Family Cellars ~ 2013 Sangiovese – Bright notes of mineral and red licorice transition into a concentrated core of spiced plum and chocolate cake riding over soft, yet substantial tannins. What began as a hobby 129 years ago for his wine making great-grandfather has evolved into a life-long dream of a family business. Robert is a 4th generation winemaker. How many of us can say that? 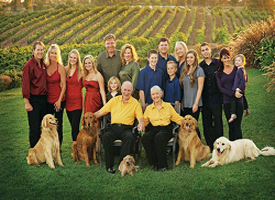 Check in every month where we feature a new interview with our Temecula Valley winemakers and winery owners. You’ll learn where they came from before settling in Temecula, CA – and what keeps them passionate about the sometimes not-so-glamorous art (and science) of making good wine in California. Dream Big : Robert Renzoni, Robert Renzoni Vineyards 1. Robert… we know what got you into the business, but what got you to Temecula? My family has purchased fruit from the Rancho Cucamonga area for over 75 years. The first time my Dad visited the area he was just 9 years old! We used to buy juice and ship it back to New York by rail in railcars that usually carried milk. At that time, the area was among the largest winegrape growing regions in the United States. My family became very familiar with the area. Ultimately, my parents moved from Buffalo, NY to Carlsbad. At the time, I was living in LA. My Dad was really excited about having a wine country so close to home. We used to meet up in Temecula Valley wine country on Sunday afternoons. It struck us all almost immediately that ‘something’ was going on here! 2. Tell us what it’s really like to own a winery: Well, it’s certainly not all glitz and glamour like people think. It truly is a way of life. And it’s a tremendous amount of work; people have no idea how dirty I actually get. You really have to make a commitment of your time – and ALL of your resources. 3. So what motivates you to get out of bed in the morning? What’s the best part? I absolutely love creating. Every bottle of wine to me is like a song. I used to write and sing music as a creative outlet. Now I make wine. Each vintage and varietal are new and different and I’m thoroughly convinced that I will NEVER get bored doing this. And that’s the really fun part of what I get to do. 4. What’s the worst part? Definitely the 5am alarm each day. Ask me again in a year or so; after the effects of the construction project have worn off. It’s been a tough year trying to get this project completed. 5. So… if you could do it again, would you? Gosh, we just opened up our new Tasting Room Villa. It’s been a lot of work for someone like me who tends to be a perfectionist. But yeah, I guess I would. I’m just waiting for the fun to start! Robert Renzoni Vineyards has got big news to share! Their 19th century-style Tuscan Villa estate is slated to break ground on July 1st, 2012. 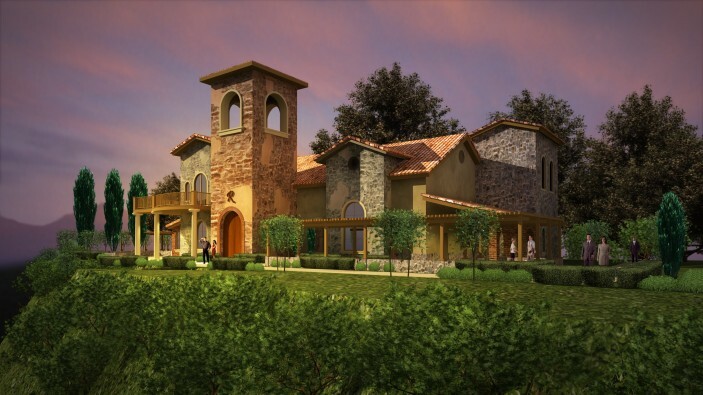 The Tuscan Villa will offer visitors an authentic Italian experience in wine country. Opening Summer 2013, the property will include a 4500 square-foot outdoor patio with a gourmet pizza kitchen featuring a wood-burning brick oven, 3500 square-room tasting room, an exclusive wine club tasting bar and al fresco area, and an extensive basement for barrel storage. In the center of the property, a 50-foot bell tower will chime at the opening and closing of every day in honor of Robert’s grandfather, Domenic Renzoni. “We’re thrilled to announce Louis Prima Jr. and his band will be staying and playing during the opening weekend festivities,” says owner Robert Renzoni. Look to visit the new tasting facility next summer and be sure to check the website and Twitter for the latest updates throughout the year! In the meantime, The Little Winehouse is a hidden gem in the vineyards. 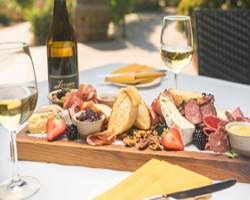 Wine-lovers are welcome to picnic on the grounds among the horse trails and hitching posts. “It’s the perfect spot to bring your own picnic lunch and enjoy a bottle of wine with family,” Robert encourages. Also new! 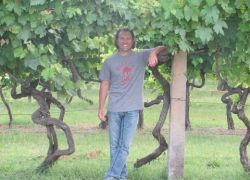 Robert Renzoni Vineyards offers a guided Vineyard Walking Tour which starts right in the vines. Wine enthusiasts will learn about the agriculture that goes into producing great grapes that make fabulous wines. 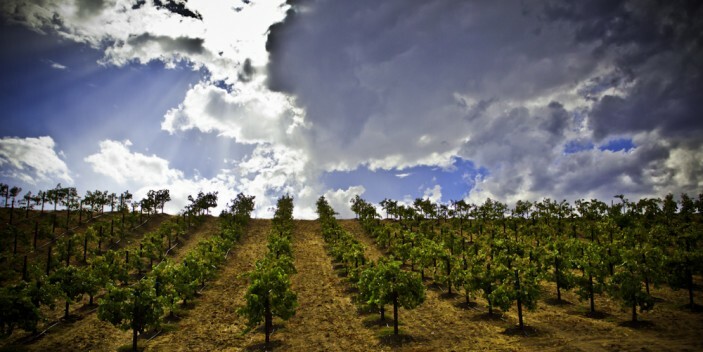 Vineyard and winery tours are a great introduction to winemaking and the region of Temecula Valley. The history of winemaking in the Renzoni family dates to 1886, when Robert’s great-grandfather Federico began working in the vineyards near Fano, a small Italian village on the shores of the Adriatic Sea in Tuscany. 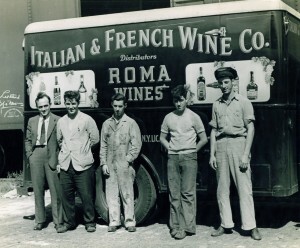 While tending the vineyards, Federico and his father began making wine for family and friends – these were the humble beginnings of the long Renzoni family wine history. 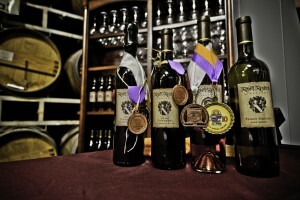 The Robert Renzoni Winery and Vineyard is a tribute to Robert’s ancestor’s, Federico, Romeo, and Domenic. 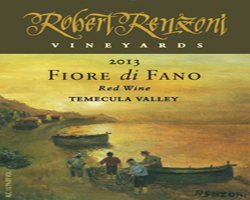 Robert Renzoni Vineyards mainly produces Italian varietals in honor of the winemaking heritage dating back 126 years. The tasting room is open daily from 11am-6pm. The standard tasting fee is $12 per person; $15 for the premium tasting. Premium tasting includes a crystal souvenir glass. All available Robert Renzoni vintages are limited in quantity, but feel free to inquire with the winery staff if you are interested in a particular vintage. Erik Turner from the famous band “Warrant” will be performing acoustic sets in the tasting room throughout the summer and the rest of the year. Check the website for show times.